Tioman Island remains the most unspoilt island on east coast of Malaysia. The island and its archipelago forms a large marine park - a tropical paradise reputed for its under-developed, well preserved state of island charm. While its shores showcase quaint villages, quiet white beaches and remarkable jungle trails through a 150-million-year old rainforest, its turquoise sea incarnates stunning aquatic life and colourful underwater gardens with coral-festooned walls and pinnacles. The ancient rainforest sets the vastly green backdrop of the entire island. The spectacular mountainous ridge, framed and surrounded by huge granite boulders, caves and cliffs, and bejewled with waterfalls, rivers and streams, is home to Tioman's incredibly rich tropical flora and fauna, as well as wildlife unique to the island itself. 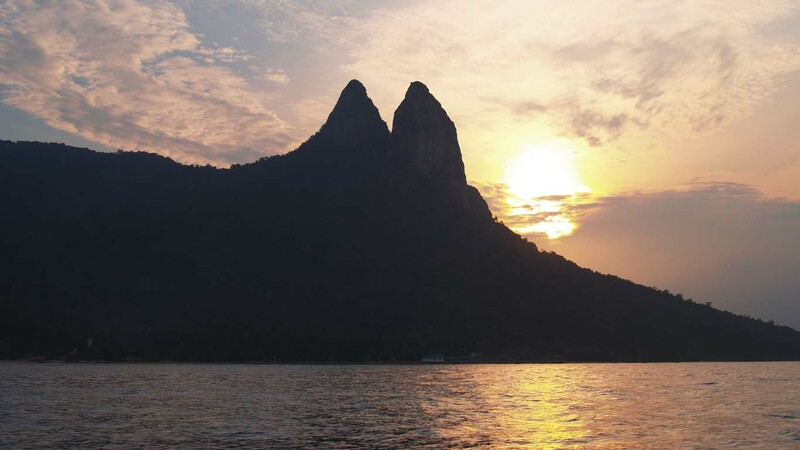 An intriguing local legend tells the tale of a dragon princess who, en route from China to Singapore, found nirvana amidst the crystal clear waters of her surroundings. Captivated by its ravishing beauty, she then transformed her body into the island itself. The wild beauty of Tioman Island is as inspiring as its fantastical legends, and the island beckons with adventures from the South China Sea, from mystical shipwrecks to sensational sunsets.